Keeping things neat and tidy. 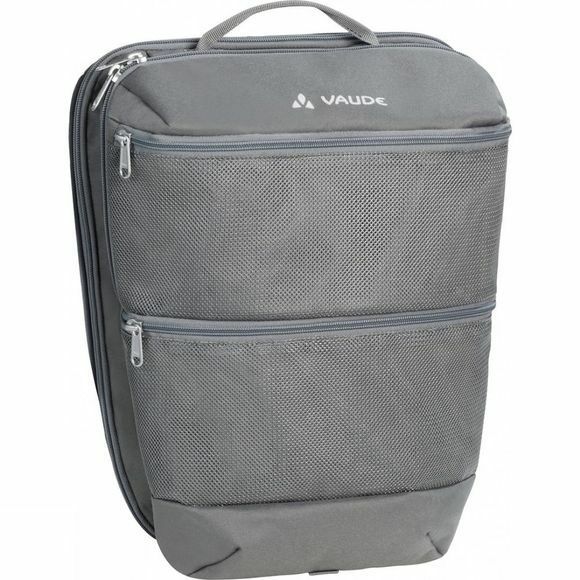 This practical SortYour Back Washbag can be attached inside the Vaude Aqua or Road series panniers. 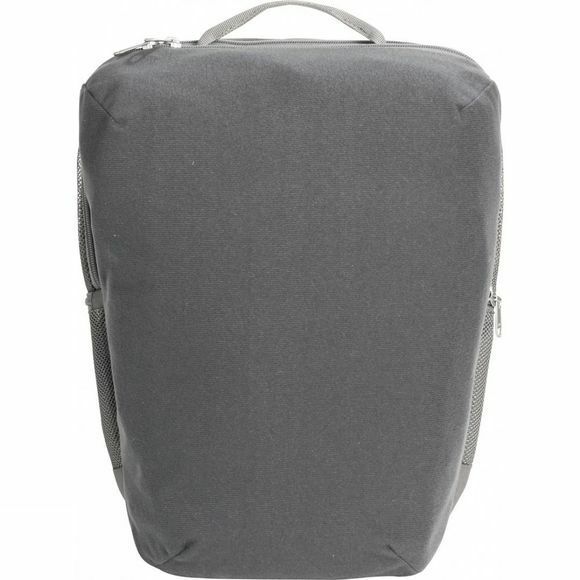 Use the divided mesh pocket as an extra storage unit on bike trips for wash and other essentials that you need to keep separate, even has a handy hook to hang it up with. On the one side of the pocket it has a soft fleece material that even lets you use it as a pillow when spending the night in a tent.